Some trucks just do it better. So, when you’re looking for the customizable features that aim to put you back on the road and elevate your position when you need it for work or for play, there’s nothing quite like the incredible Dodge Ram 1500 for sale in Bonnyville. With the impressive elements that have made the Ram the preferred vehicle for drivers across the province, the country, and the world, there’s certainly a lot to appreciate about the Ram 1500 at our store. Work with our team and allow us to get you into the driver’s seat of a truck that lives up and then exceeds expectations. Do you want a diesel engine? Well, the good news here is that with the Ram 1500 you can enjoy a class-exclusive 3.0-Litre EcoDiesel V6 option. With best-in-class fuel economy and a huge assortment of awards, the Ram 1500 makes for a great traveling partner thanks to a dedicated team that has truly considered the vehicle from all angles. Do you want a longer cargo bed? Well, at 8 feet, you’re in good hands with this outstanding vehicle. Do you more cabin space? How about 4×4 or 4×2 options? Yes, yes, and yes! The Ram 1500’s dedicated features aim to get you back on the road without complications thanks to impressive amenities and technology that really stands out. If you are the sort of driver that prefers gas engines – you won’t be left wanting here. The Dodge Ram 1500 for sale in Bonnyville has both an award-winning 3.6-Litre Pentastar VVT V6 engine and a fantastic 5.7-Litre HEMI VVT V8 to personalize your driving experience to reflect you and your driving needs. Let’s get you back on the road with a sense of confidence that comes from finding the model that you really want to drive. 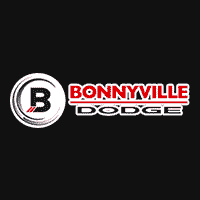 The team at Bonnyville Dodge is here for you every step on this new driver journey. Work with us today!